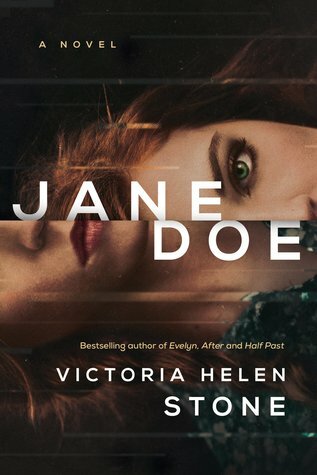 “Jane Doe” – Book Review | Be careful of whom you befriend! Psychological thriller is a genre that has gained immense popularity in the recent times. Even then, I am new to this genre and am glad I picked this one to start it with. The story plays out slow and paced out, each action and emotion (or lack of so) explained. Jane is a sociopath and she knows it, and thus has adapted herself to act normal. I loved seeing everything through her eyes.. how she does not understand emotions and why people would enjoy having feelings if they only hurt at the end. But then there are times she feels and is thoroughly confused by it. Inspite of everything, she is driven by her rage against this one person.. the mechanics of her mind.. to devise his downfall.. is fascinating. The thrill she finds in being a part of his life and playing along while scheming the end instead of striking it from the sidelines is totally sinister but perfect for the character. The thirst to see him while his life diminishes to nothingness and to realize why she did so is downright fitting to her character! The story kept me hooked as there was always something that Jane was plotting and going ahead with.. while looking for a way that associates her lesser and lesser so that she can leave after the perfect crime and continue with her life..
A perfect weekend read for me.. The writing is great.. flow good and ends with a sense of hope and fulfillment despite the glum topic. Previous Post 10 Books for beginners! |Stand-alone edition | Book Recommendations post..
Next Post “The Last Attractor Of Chaos” – Book Review | Fresh concept but not for everyone..